Much like the Handicorn takes your hand and makes it magical, the Handihorse transforms your plain old paw into a proud prancing pony! 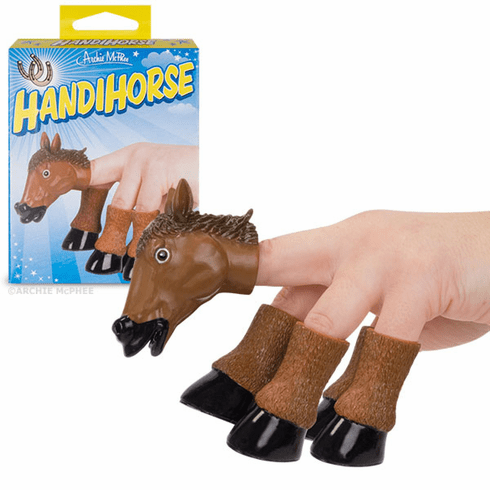 This is a set of five soft vinyl finger puppets four 2" (5.1 cm) hooves and a 2" (5.1 cm) horse head. Buy them for your whole family and make a Handihorse herd stampede! Illustrated box.